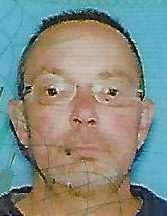 FARMINGTON - Jeffrey Shon Chretien, 56, passed away on April 9, 2019, at Central Maine Medical Center in Lewiston, with his family by his side. He was born on April 27, 1962 in Farmington, the son of James and Patsy (Meader) Gilbert. Jeff was educated in the schools of Farmington and graduated from Mt. Blue High School, in the class of 1980. On Sept. 1, 1984, Jeff married Terry Legere in Farmington. Over the years, he worked as a licensed electrician for Forest Allen, Cianbro, Ron Simoneau and Ron Greco. Jeff enjoyed fishing, lobstering and spending time with his four-legged companions. Jeff is survived by his wife, Terry Chretien of Farmington; his daughter, Kayla Chretien of Florida; and his sister, Shelly Pucci of Farmington. He was predeceased by his daughter, Casey Chretien, in 1989. At Jeff’s request, there will be no services. Arrangements are under the care and direction of Dan & Scott’s Cremation & Funeral Service, 488 Farmington Falls Rd., Farmington, ME 04938. Terry and all of Jeff's family. You are all in my thoughts and prayers at this difficult time. Rest in the fact that Jeff is no longer in pain and flying with the Angels. Hold onto all of your memories and they will help you through the days ahead. RIP Jeff. Sorry to hear of Jeff's passing. We are thinking of you during this sad time. God bless. So sorry Terry for your loss. So sorry to see this... Jeff was a great guy.. incredible sense of humor!! May he Rest In Peace... my condolences to his family.